Perhaps you are a sausage lover, perhaps you are a pork lover, perhaps both. Either way, there are reasons to love pork sausage, and there are lots of types of pork sausage spread all over the world waiting for you to taste. 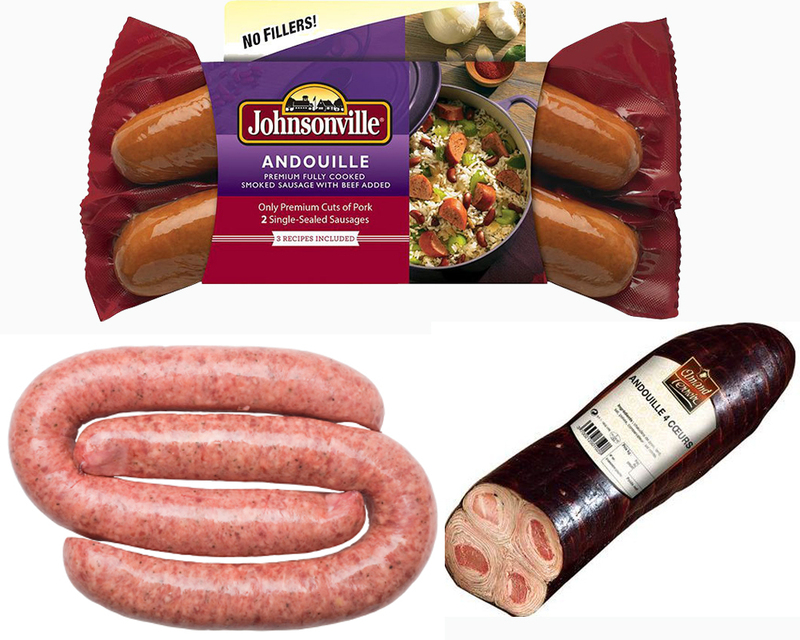 Two kinds of pork sausage that often cause confusion are Andouille and Chorizo. The two indeed share some similarities. As the effect, beginners often wonder which one is which, and whether the two can be used interchangeably in recipes. Below, we will take a look on each and see the comparisons. Andouille is a smoked pork sausage. Originated in France, it was brought by French immigrants and Acadian exiles to Louisiana, merging with the local ways to create the famous Louisiana Creole and Cajun cuisine cultures. It is a coarse-grained smoked sausage, made from pork, pepper, garlic, onions, wine, and seasonings. 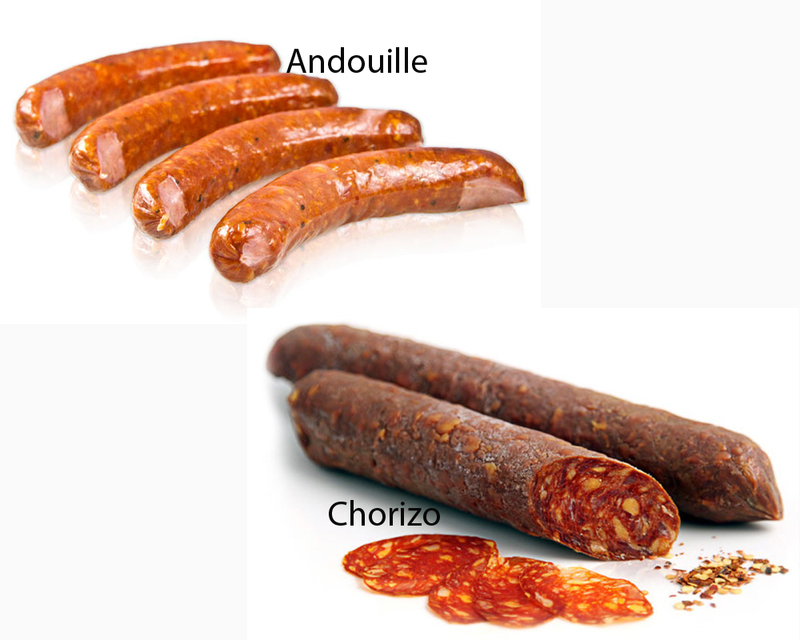 On the other hand, Chorizo is a pork sausage that is fermented, cured, or smoked. In such ways, it is often sliced, eaten without cooking, or added to other dishes to add flavor. Some people may prefer to cook it first prior eating. There are several Chorizo variations. 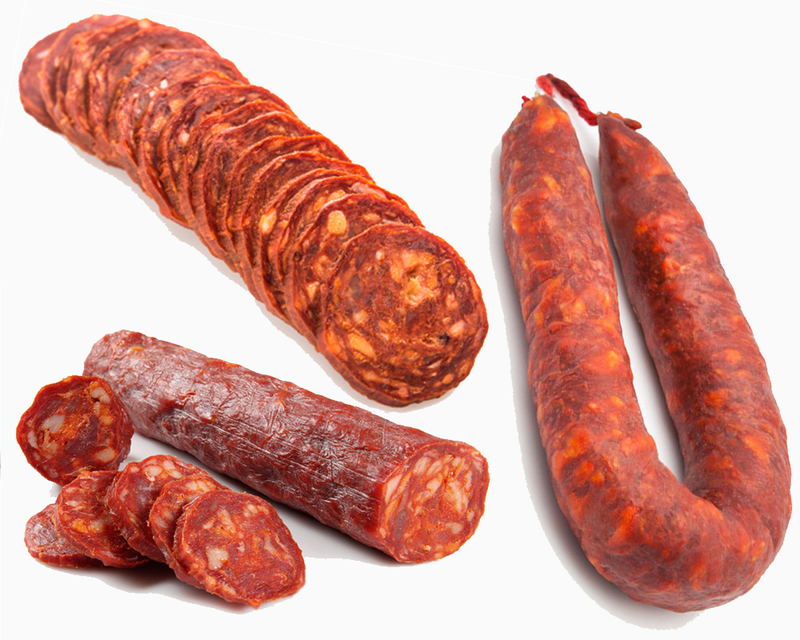 Spanish Chorizo and Portuguese Chorizo are typically deep red in color due to using dried smoked red peppers. Meanwhile, Mexican Chorizo uses the native chili peppers instead. 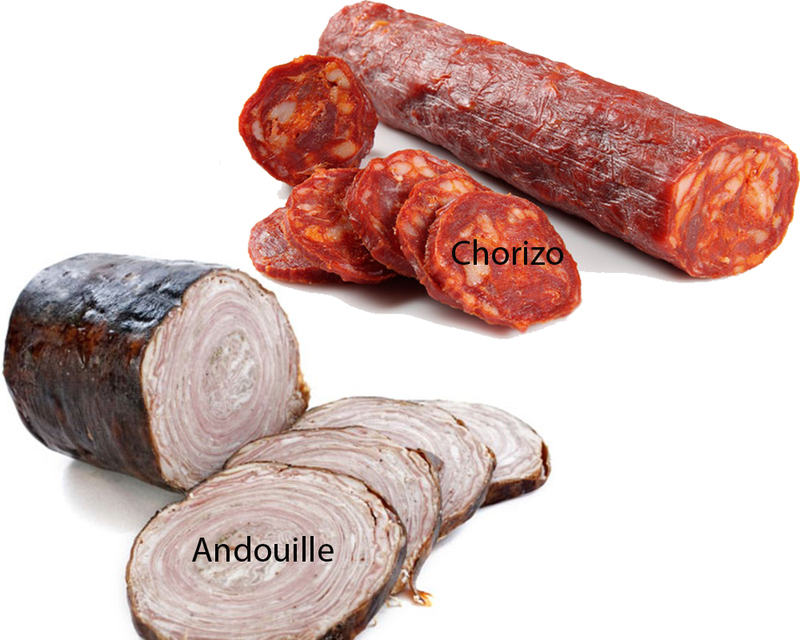 So, Andouille originates in French. It is a smoked pork sausage, and can be found in Cajun and Creole cuisines. Meanwhile, Chorizo is a pork sausage that can be fermented, cured, or smoked. There are Spanish Chorizo and Portuguese Chorizo, which feature dried smoked red peppers, also Mexican Chorizo that uses the native chili peppers instead.